News trading is a favoured approach of many forex traders, as it can bring significant profits within a short period of time. 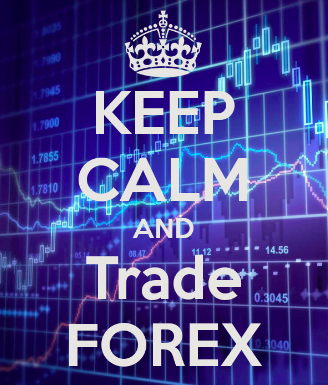 This article will tell you how to trade the news effectively in forex. There are plenty of economic data releases published every month such as retail sales, unemployment, gross domestic product (GDP), inflation, and many more. They are the tools for measuring the strength of an economy. During the periods when those releases come in, the price of the related currencies is often affected strongly, resulting in volatility increased in the forex market. This brings us trade opportunities. Not every news release can equally affect the market’s volatility. Normally, economic reports and announcements from the United States influence the market the most as the US Dollar accounts for more than 85% of all currency transactions. A news release’s impact on the market averagely lasts for an hour. However, the broader affection can prolong for days or even for weeks. Which Currency Pairs Do News Traders Often Trade? News traders often trade the major currency pairs such as EUR/USD, GBP/USD, USD/CAD, AUD/USD, USD/JPY, NZD/USD, and USD/CHF. These are the most liquid pairs and have tight spreads, helping minimise the risk during the periods when high volatility occurs. How To Start Trading News in Forex? Nowadays, there are many websites offering traders economic calendars. One such calendar is provided by easyMarkets. With easyMarkets’ global financial calendar, you can find economic events of the day as well as the impacting level of each one. Besides, you can also see financial analysts’ forecasts and the previous releases’ data. To trade the news, you will need to observe to find out whether the final release hits, outperforms or underperforms the forecast level. The market usually gets volatile when the data misses the forecasts by a wide margin. If the actual figure is better than expected, the related currency typically reacts positively, and vice versa. Example: If the forecast level of the U.S. unemployment rate for the previous month was 4%, and the actual data came in at 4.6%, the Greenback would normally fall. Pre-Release strategy: Forex traders will use previous reports to anticipate an economic data release’s result and set an order prior to the release based on this. For example, they use PMI reports’ employment components to predict U.S. jobs data. If the employment components of the 3 reports show a solid increase, the number of new jobs may also advance. After-Release strategy: Forex traders will wait until the actual data comes in and enter the market based on how it typically responds to such a scenario. For example, if the U.S. unemployment rate outperforms analysts’ forecasts by a wide margin, you should open a bullish order on the USD/JPY. Widened spreads: When the market is highly volatile, spreads may strongly widen, resulting in increased cost when you jump in and out of the market. Slippage: Slippage is when you jump in the market at a certain price, you get filled at a different price which could be worse than expected. This frequently occurs in volatile market conditions. Volatility: Swings are sometimes so wild during volatile periods and may cause your positions to be stopped out. Trading the news in Forex can be an interesting experience. However, it also conveys risks which can dent your trading psychology and account balance. If you decide to become a news trader, take your time to study market reaction to various economic data releases. This will enable you to anticipate outcomes and trade better.